from a start-up to an internationally acclaimed company generating millions of Dollars and listed on stock exchange in Poland. His extensive industry experience extends to wide-ranging knowledge of games creation, production and artistic supervision. This, coupled with his worldwide business network and market understanding, as well as strong goal oriented character, allows him to lead Vivid Games to success in their planned and ambitious undertakings. As one of Poland’s most talented programmers, Jaroslaw has achieved international acclaim after winning a host of worldwide coding contests. After 15 years in the industry – he continues to expand his passion for programming. 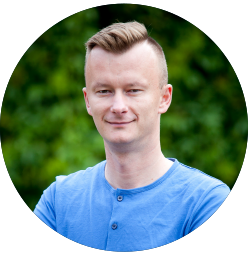 Jaroslaw graduated from the University of Technology and Life Sciences in Bydgoszcz, with telecommunication and multimedia as his field of study. His considerable programming expertise allowed him to create a powerful and unique game engine technology V-TECH, lead and oversee the growth of Vivid Games in the areas of game production and technology. Thanks to his diverse experience he is able to achieve far-reaching goals, create intricate development plans and, most importantly, execute them effectively and with the utmost perfection. Co-founder and President of the Management Board of Capital One Advisers sp. z o.o., President of the Management Board of the Association of Certified NewConnect Advisers. At Capital One Advisers he oversees the execution of consulting projects, especially those in the area of strategic consulting, mergers and acquisitions, sale of companies, private offerings, cooperation during admission to trading on NewConnect, development of advanced financial models and company valuations. He has provided his services for many companies, including companies from the new technologies sector: Grupa Vectra S.A., ABG Sterprojekt S.A., Eurotax.pl S.A., Medicalgorithmics S.A., and many others. Previously, in years 2000–2002, he was a director at the Warsaw office of the private equity funds managed by Advent International, where he was engaged in owner supervision of portfolio companies and execution of investment projects in Poland. In years 1997–2000 he was head of the Warsaw branch of the American advisory company Communications Equity Associates, where he managed finance acquisition and M&A projects in IT, media and telecommunication sectors. Previously he worked for leading private equity funds in Poland: Polish-American Enterprise Investors Entrepreneurship Fund, and before that, starting in 1994, as an Associate, and subsequently Investment Manager at Innova Capital fund. He graduated from the University of Wisconsin in Madison, USA. Graduate of Software Engineering at the University of Illinois (USA). Entrepreneur and visionary responsible for executing innovative technological and investment projects for over 14 years. Lives in San Francisco.Presently a managing partner and co-founder of i/o venture – an early-stage new business accelerator, involving co-creators of YouTube, MySpace and TechCrunch. Founder and CEO of Lefora (innovative discussion forum), Meetro (the first location-based social network) and Paragon 5 (console and mobile game developer). For the last few years he has been consulting in the area of new technologies, investments and management for more than a dozen companies in USA and Europe, as well as other countries. He has a broad global network of connections and participated in numerous international economic, business and investment conferences. Co-founder and member of the Management Board of Everest Consulting Sp. 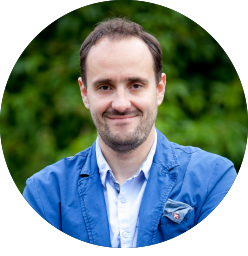 z o.o., founder and managing director of event company Adventure Explorers s.c.. At Everest Consulting he is responsible for cooperation with companies from the new technologies sector. Journalist for the Parkiet stock exchange journal and development editor at the Nowe Technologie monthly in years 1995–2002. He cooperated with titles such as Teleinfo, dot.com, Rachunkowość. In 2003, he was recognized by the DiS research and analysis agency as one of the most interesting journalists writing about the IT sector. Złoty Bit jury head and member in years 2004–2005, responsible for awarding distinctions for the most interesting IT solutions. He graduated from the International Relations Department of the University of Warsaw. Legal advisor. Graduated from the Faculty of Law and Administration at the University of Warsaw. In 2014 he completed his legal apprenticeship and passed the bar exam at the District Chamber of Legal Advisors in Warsaw. Since 2005 he has been a partner in The Law Firm of Chajec, Don-Siemion & Żyto with its registered office in Warsaw. Earlier, in the years 1996 – 2005 he was a legal assistant, then a lawyer and a partner in the law firm GESSEL. Gessel Koziorowski sp. k with its registered office in Warsaw. Professional experience of Szymon Skiendzielewski includes mergers and acquisitions, corporate law, capital market transactions, real estate transactions and financing projects. Legal counsel (No. WA-7134), certified adviser for the alternative NewConnect trading platform (No. 37/2011), founder and managing partner at SZCZESZEK I WSPÓLNICY Sp.K. Kancelaria Radców Prawnych. Piotr Szczeszek specialises in intellectual property rights, especially in legal aspects of development, and sale of computer software and audio-visual work. He has been an adviser for many companies from the IT sector in matters related to the protection of proprietary copyrights of developed software and setting terms of provision for their IT services. He has extensive experience in commercial law and the capital market. He has been carrying out and coordinating numerous transformations of commercial companies and introducing their financial instruments to trading on the NewConnect alternative trading platform. Graduate of Jagiellonian University. Lecturer of the Postgraduate Internet Law School at the Intellectual Property Law Institute of Jagiellonian University (Telecommunications Law) and the Postgraduate Business Management School at the AGH in Krakow (Commercial Law).